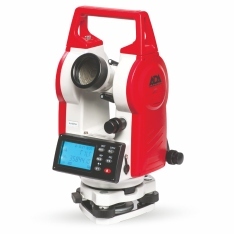 Electronic theodolite DigiTeo 2 is a leader of line of electronic theodolites of series ADA DigiTeo. 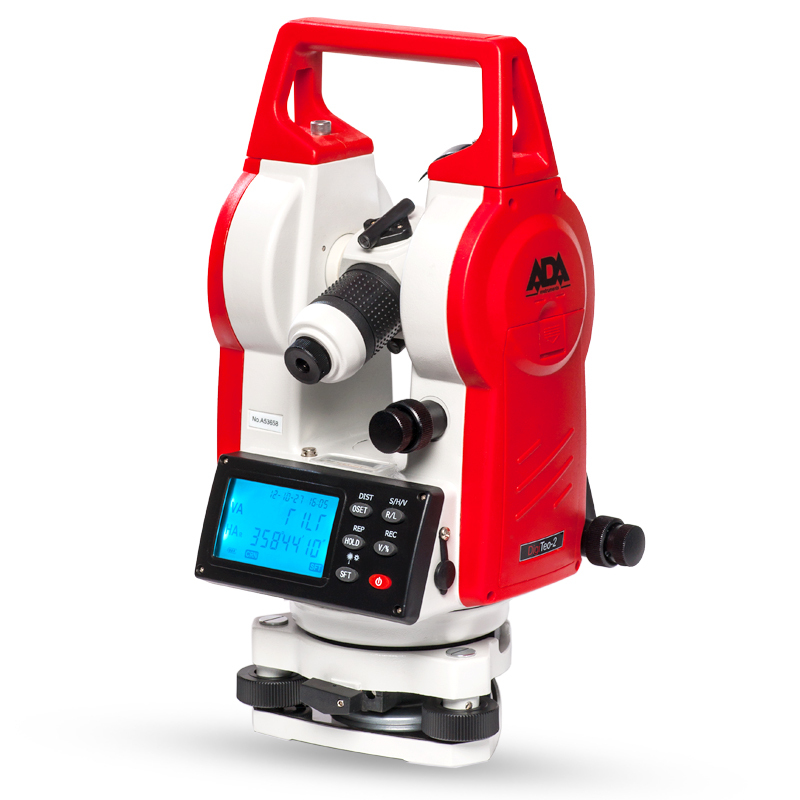 As distinguished from other electronic theodolites this model is equipped with an electronic compensator of vertical circle. Now it is very easy to set horizontal angle for zero. You need just to push the button «OSET» and hold it for one second. 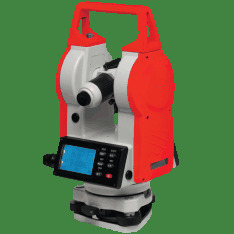 Initial setting of vertical angle for zero is done by easy rotating of a telescope through horizontal plane, so there is no need in presence of vertical circle level. 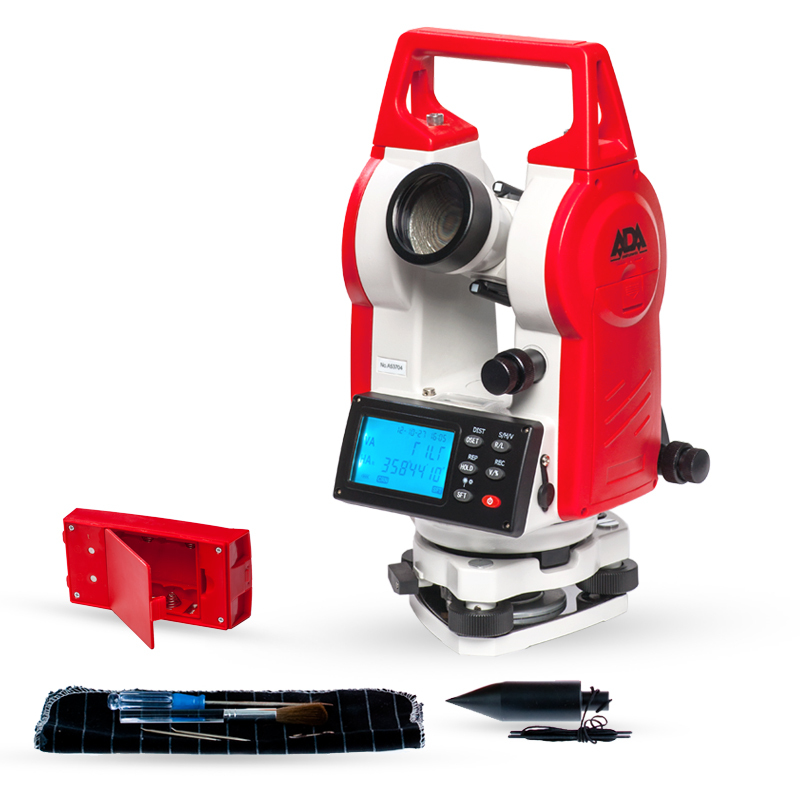 Method of measuring: incremental photoelectrical code limb. 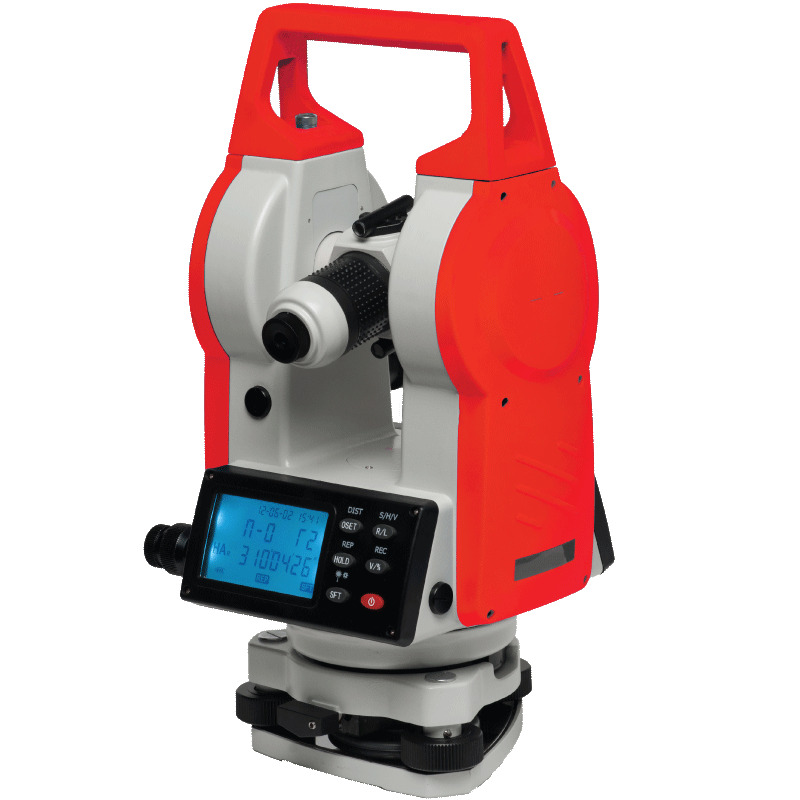 Theodolite ADA DigiTeo 2 can compensate incline of vertical axis of the instrument in the range of +/-3’ automatically. 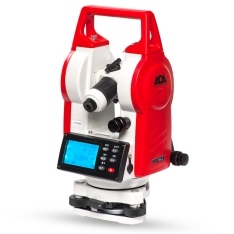 This feature allows to perform vertical circle reading with high accuracy. Big matrix two-line liquid-crystal display can represent vertical and horizontal angles simultaneously, and an embedded illuminating system allows to work under conditions of low brightness. An laser plummet serves for accurate positioning of theodolite.